Probing deeper into the recent Aadhaar-Aasara scam, investigators have found that a number of youngsters from Bandlaguda, aged between 20 and 30 years, were involved in the crime. 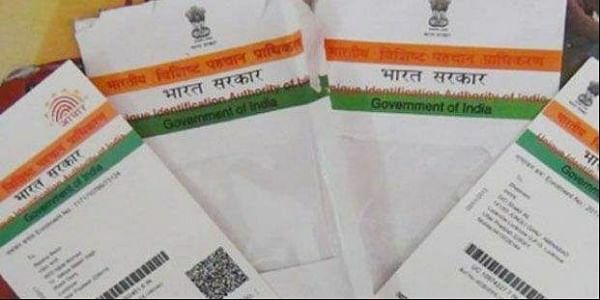 HYDERABAD: Probing deeper into the recent Aadhaar-Aasara scam, investigators have found that a number of youngsters from Bandlaguda, aged between 20 and 30 years, were involved in the crime. They have been obtaining Rs 1,000 per month granted under the old-age pension scheme Aasara since it was launched by the government. Days after the Central Crime Station (CCS) police arrested three persons including the key accused — an MIM party leader and owner of an SBI kiosk Mohammed Abdul Khader Nakshbandi Aziz — investigation has revealed that they swindled up to Rs 50 lakh by misusing Aadhaar data of public to create fake accounts with fictitious names. Of the 16 outsourcing workers, police found at least three persons involved in the scam. This includes Md Aslam, who is currently working with TSSPCL as junior assitant in Nalgonda.Aslam is now absconding. “We have writted to revenue officials seeking information. Based on their report, we will take stern action,” said ACP N Sanjeev Rao. The Bandlaguda mandal has the highest number of pension beneficiaries in the city - 25,000. There are only about 3,000 to 4,000 beneficiaries in each of the other mandals of Hyderabad district. Collector Yogita Rana, who has taken the scam seriously, is likely to direct revenue officials to conduct a door-to-door verification to identify genuine beneficiaries in Bandlaguda mandal.